The poetry world lost some of its giants in 2015-16. On this Memorial Weekend we want to remember them and their inestimable contributions to literature through teaching, writing, and mentoring younger poets. Charles Kenneth (C. K.) Williams (1936—2015) won distinction as a poet, critic, and translator, garnering nearly every major poetry award. Flesh and Blood won the National Book Critics Circle Award in 1987. Repair won the 2000 Pulitzer Prize for Poetry and the Los Angeles Times Book Prize, and was a National Book Award finalist. The Singing won the National Book Award in 2003 and in 2005 Williams received the Ruth Lilly Poetry Prize. Williams' life and poetry are the subject of the 2012 film Tar. Of his Collected Poems (2007) Peter Campion wrote in The Boston Globe "Like Yeats and Lowell before him, he writes from the borderland between private and public life…. [His poems] join skeptical intelligence and emotional sincerity, in a way that dignifies all of our attempts to make sense of the world and of ourselves. C. K. Williams has set a new standard for American poetry." Swedish poet, psychologist, and translator Tomas Tranströmer (1931-2015) published 15 collections over an extensive career. He surprised the Swedish literary community by publishing his first book of poems, 17 Dikter (Seventeen Poems), in 1954 while a PhD student at Stockholm University. Tranströmer wrote of the dualities of the inner and outer worlds we each carry with us, the small moments in a life when a window of perception magically opens. Throughout his writing career he possessed an uncanny depth of perception, a wisdom and curiosity about the world due perhaps to his work as a psychologist. 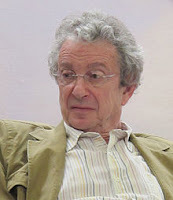 He first corresponded with the poet Robert Bly in 1964. They later met and Bly would become responsible for introducing his poetry to readers of English worldwide. 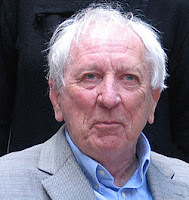 Tranströmer received the 2011 Nobel Prize in Literature. Read an interview with the poet here. Carolyn (C.D.) Wright was born in the Ozark Mountains of Arkansas in 1949, the daughter of a judge and a court reporter. She published over a dozen books, including ShallCross (2016); One With Others (2011), which won the National Book Critics Circle Award and was nominated for a National Book Award; Rising, Falling, Hovering (2008); Like Something Flying Backwards: New and Selected Poems (2007); and Tremble (1996). “Poetry is a necessity of life,” Wright once said. “It is a function of poetry to locate those zones inside us that would be free, and declare them so.” She died unexpectedly at home in Barrington, RI, in January 2016. Read poet Ben Lerner’s tribute to Wright here.